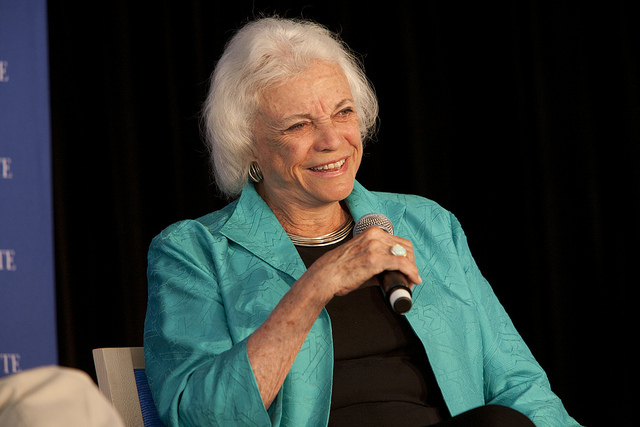 Last year retired Supreme Court justice Sandra Day O’Connor announced she had Alzheimer’s disease. For many, this became a moment to pause and remember a woman who broke glass ceiling after glass ceiling. A woman who, for decades, was considered the most powerful justice on the nation’s highest court. Now, author Evan Thomas has written a intimate portrait of O’Connor’s life titled “First.” It chronicles the trails she blazed and the way she shaped American rule of law. Evan Thomas Journalist, author and professor; author of "Ike's Bluff: President Eisenhower's Secret Battle to Save the World" and "Robert Kennedy: His Life"